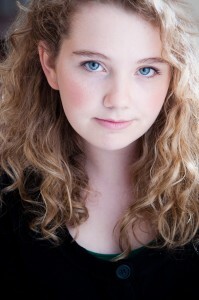 16 year-old Annika Horne is an award winning singer and actress. She recently received the Young Artist Award for Best Performance in a Television Series in a Guest Starring Role for her work on the ABC Studios/Lifetime Network show Army Wives. She is deeply honored that the song “Last One Home” which she recorded in Nashville with Cactus Moser and Mike Trella is included on the Chariots EP from the groundbreaking immersive feature film The Hornet’s Nest. She is perhaps most proud of the fact that her Ingénue series of benefit concerts has raised over $200,000 for Music is Medicine, a 501(c)(3) providing instruments and lessons to teenagers in the hospital for extended stays and led directly to the creation of the Ingenue Music is Medicine Kids Creative Space for performance and recording at the UT Southwestern Children’s Medical Center. “Annika Horne is a future star with a heart of gold, hercommitment to support those who serve our County is inspiring”, says David Salzberg – Co-Director of The Hornet’s Nest Film.